Sheath-knife. 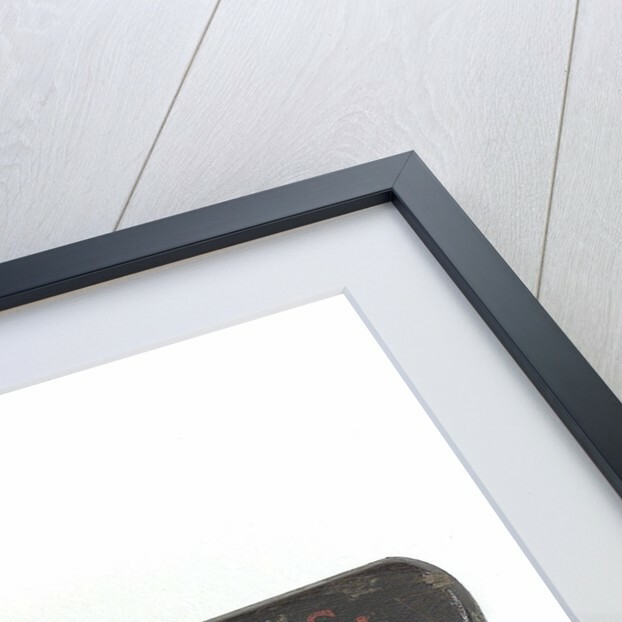 The cast steel blade has a wooden handle, on one side of which is 'W.T. MUMFORD.CC. HMS RESOLUTE 1854' painted in red and on the other side is carved 'P/M'. 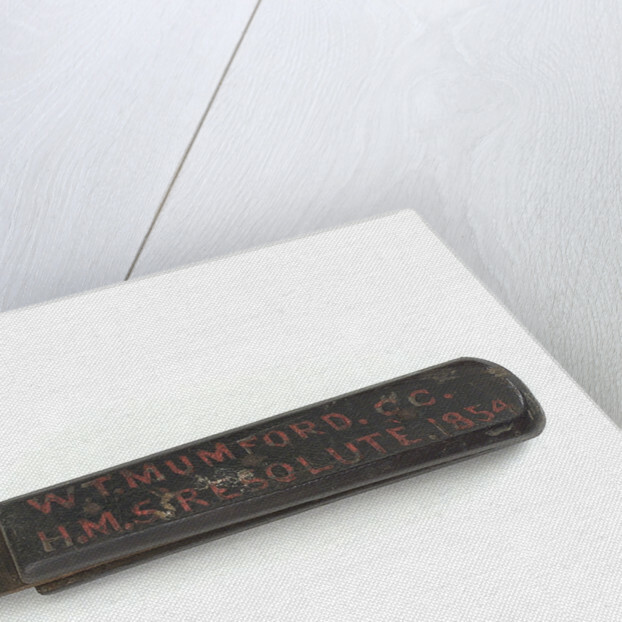 The knife is complete with a leather sheath marked with the name 'W.MUMFORD'. 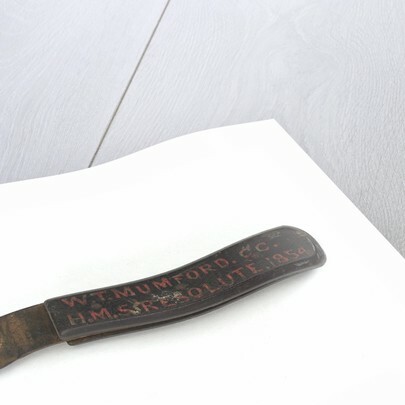 This knife was received with the diary (MS79/190) kept by W.T. 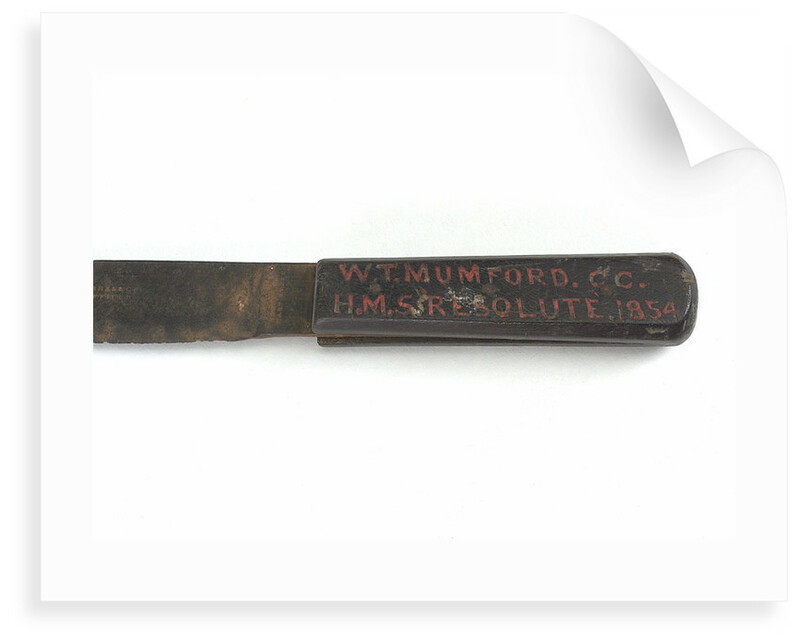 Mumford on the HMS 'Resolute'.